Who are Daughters of the Nile? I Am Attending My First Supreme Session – What Can I Expect? Who are the Daughters of the Nile? Past Supreme Queen Sue Layman, her daughter Queen Jennifer Nance, and Past Queen Tiffany Ball are all smiles at the 2016 Supreme Session. 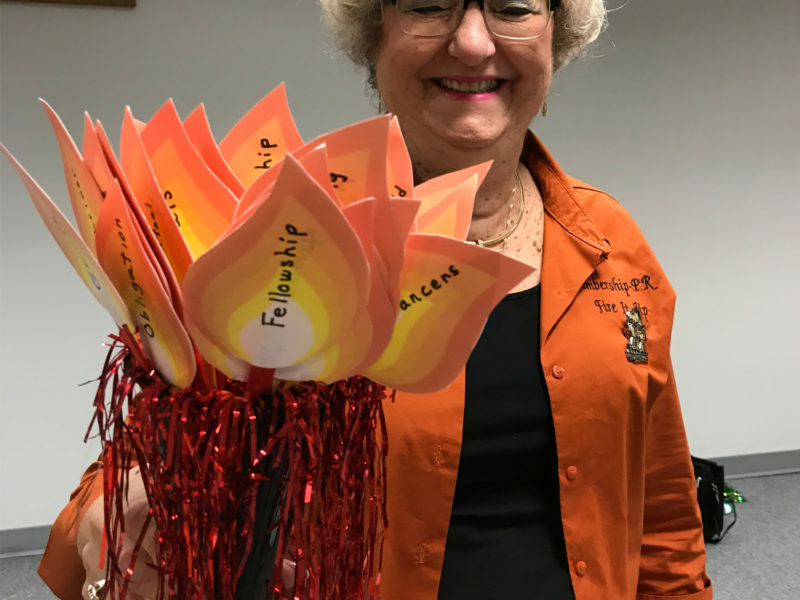 Jackie holding the Membership Torch!!! Elim Temple No. 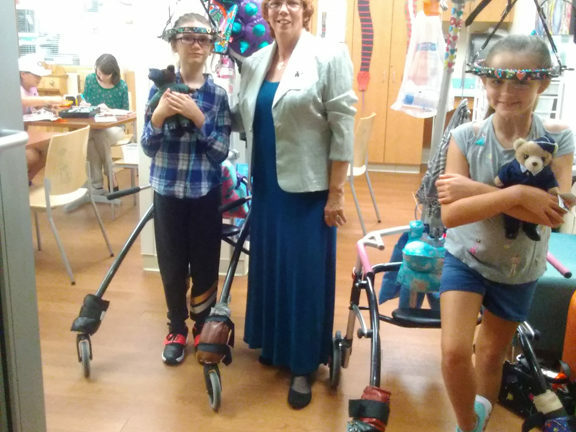 76 hosted a Princess Tea Party at the Shriners Hospital for Children® in Tampa, Florida. 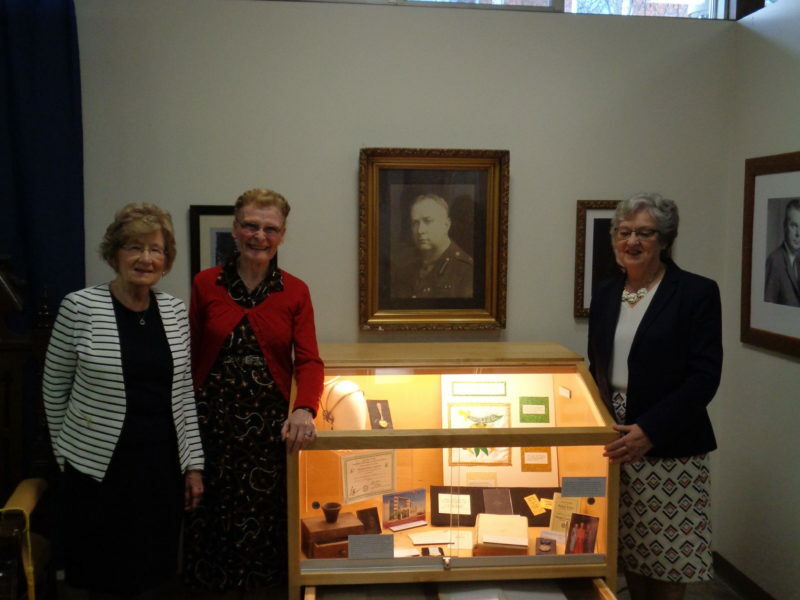 Princess Shirley McNeil, Princess Badoura Lorie Colledge, Past Supreme Queen Vesta Marshall with display case at Strathroy Caradoc Museum showing our articles. 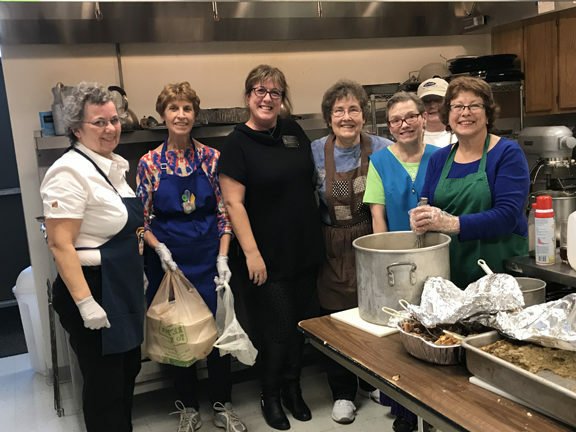 Heather Herridge (center) held a mentor program for El Maat Temple No. 120 Queen Margie Underwood and Junior Past Queen Pattie Underwood. 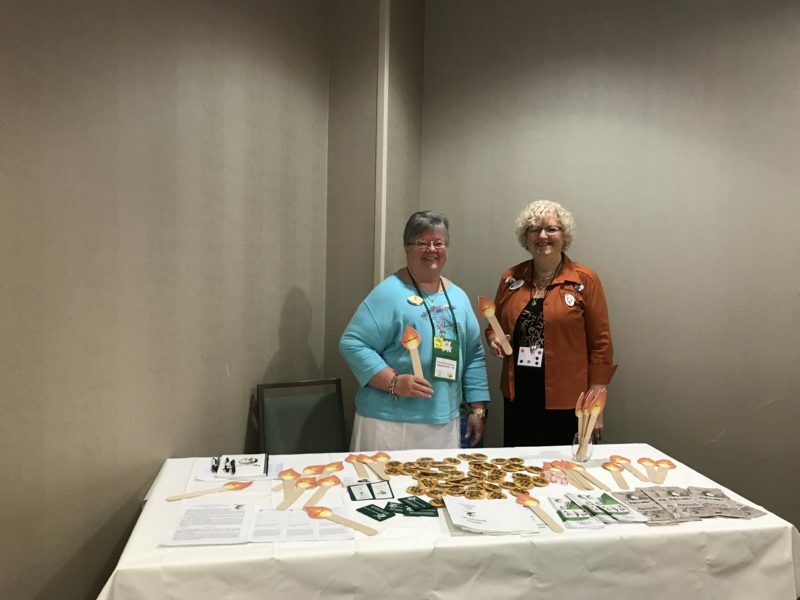 Charlyn Coleman, Past Queen, and PQ Jackie Patton, Past Queen, both members of the Supreme Membership/PR committee, at Southern Days 2018 in Gulf Shores, Mississippi. 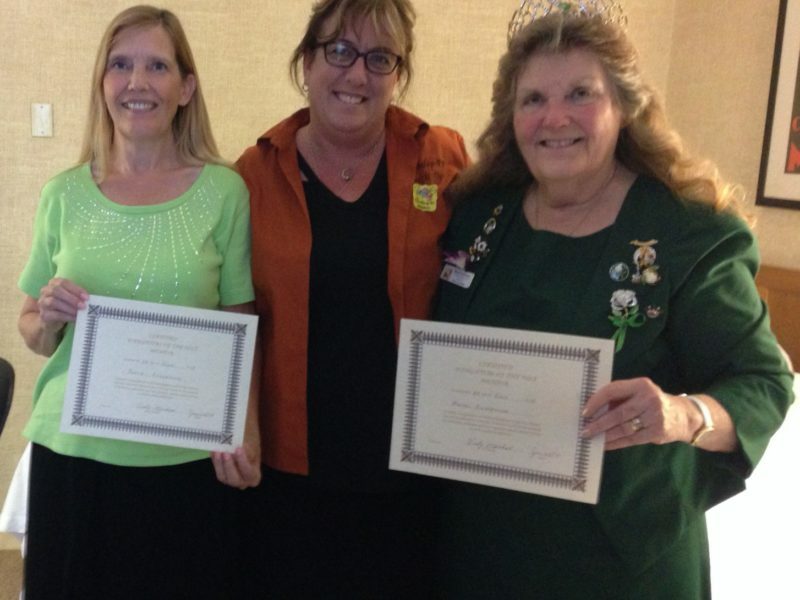 Membership committee at the Imperial seminar in Tampa, working hard for Daughters of the Nile! 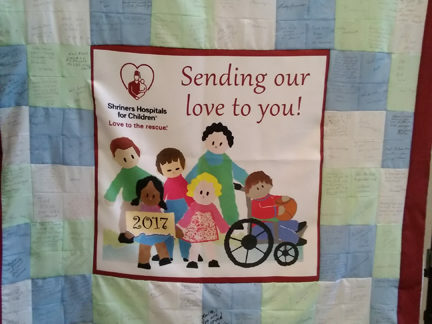 Share your Buzz for the Children! 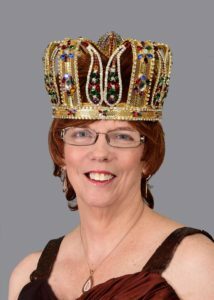 Many of you are aware that our Supreme Queen Shirley Henley was invited by the Imperial Shriners to participate in the Rose Bowl Parade by assisting in the decorating of and riding on the Shriners Float, “Fezzy’s Garden of Hope and Healing”. The Nile Store is offering this one of a kind commemorative t-shirt for $30.00. Click on the link to The Nile Store to purchase this beautiful shirt! Happy shopping everyone and thank you for supporting the Supreme Temple! CHALLENGE the Ladies of the Household to call and talk to their friends and associates about their Shrine/Masonic relatives. Learn more tips (and some exciting news!) in the April Membership Article. Find past articles here. Shalman Temple No. 90 is proud to invite you to attend Texas Days 2019! Shine Bright in Dallas on October 17 through 19, 2019 at the Westin Dallas Fort Worth hotel. Download the registration packet here. 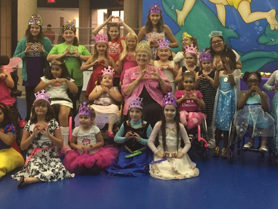 Aquarius Temple No 138 is “Honoring the Reigning Queens” during Florida Days September 19 through 22, 2019. Find all the details here. Wednesday, June 12, 2019 @ 1:00 P.M. There will be a portrayal of the Amplified Opening and Closing like you have never seen before. Ladies this is a must see for everyone attending Supreme Session don’t be left out – plan to be there and plan to learn something new. 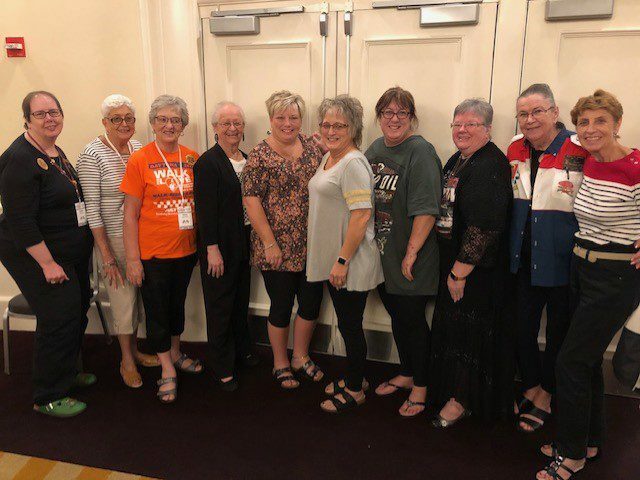 Registration for 2019 Supreme Session is now open. Register online at http://www.cvent.com/d/pgqtzm or download the information packet here. Going as a group? Consider throwing a “Registration Party” for your Temple so you can all get registered online. What a great way for newer members to hear about past Supreme Sessions! Interested in the pattern for weighted blankets? Download the pattern (courtesy of Rithmah Temple No. 93) here.